Stacking is not only for show dogs! Of course to properly stack a dog for the show ring you have to follow the AKC or CKC breed guidelines for stacking, but for our purposes stacking will mean positioning your dog to stand straight and square. Teaching your dog to stand squarely improves their body posture, engages underused muscles, improves balance and proofs their stays. Most dogs, just as most people, tend to get lazy about their posture and develop bad habits which, in time, can cause musculoskeletal issues. 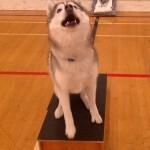 You will often see dogs lean, stand crooked, favour on side or not distribute weight evenly. Forcing them to hold a square stance re-teaches their body to maintain proper posture. have a good look at your dog, try to find the optimal position for his paws so that they look as square as possible, make sure their back is long and straight. Front legs should be straight and under the shoulder blades and back legs should be vertical from the hock (ankle) down. Feet should be in line and facing forward. 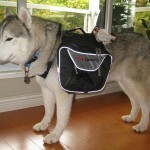 Start by stacking slightly above ground, since your dog will be more likely to hold the position. I find that bricks work best as they are heavy and won’t slide around. At first use one brick for the front paws and one for the back paws. To encourage your dog to place their paws on the brick either use a clicker, lure them onto the brick with a treat or physically place their paws on the brick. Remember to praise and reward them! 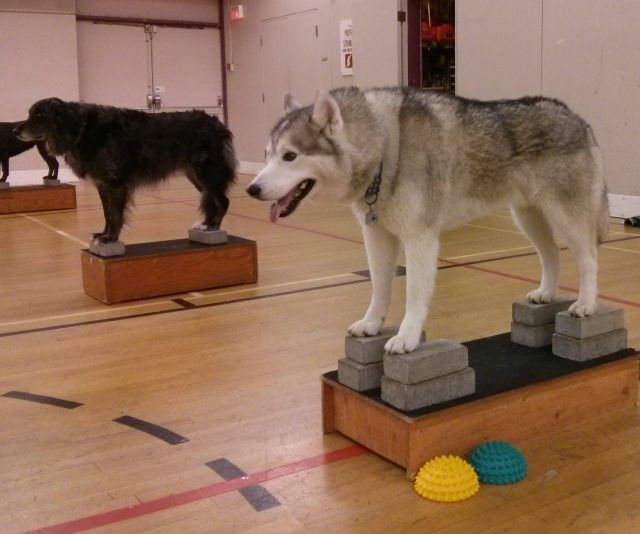 Once they master two bricks, you can move on to placing each paw on a brick. 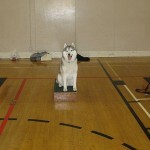 This will give you more control over the position and add an extra challenge for your dog. 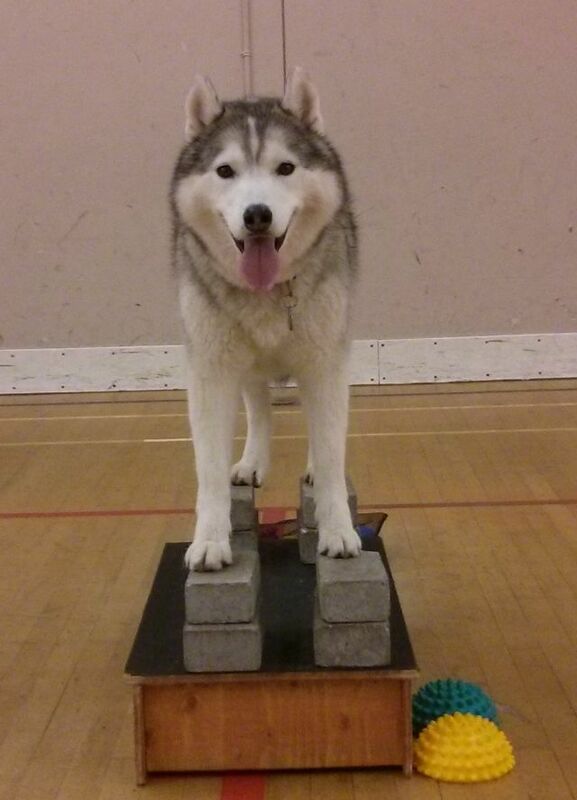 When stacking it’s best to adjust one leg at a time, always starting from the same leg (eg. 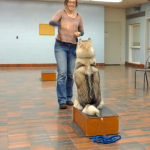 front right, front left, hind right, hind left), this will give your dog a sense of consistency and familiarity with the exercise. gently press on your dog’s body while they are trying to hold the position. You can do this by pressing on either side of their shoulder, rib cage and flank. This will force them to engage their core and resist the force in order to maintain balance and remain standing in the proper position. Ask your dog to lift each paw, one at a time. This will add even more challenge as they will have to re-distribute their weight while maintaining position. Make sure that your dog is comfortable and confident with just standing squarely before you add extra challenges to the exercise.